When telling a story to children, you can really make the story come alive if you use a backdrop or a set design. A visual reminder of where the story takes place helps children get a better picture of the story. Backdrops do not have to be elaborate or complicated. This was made using some cloth and some paint. 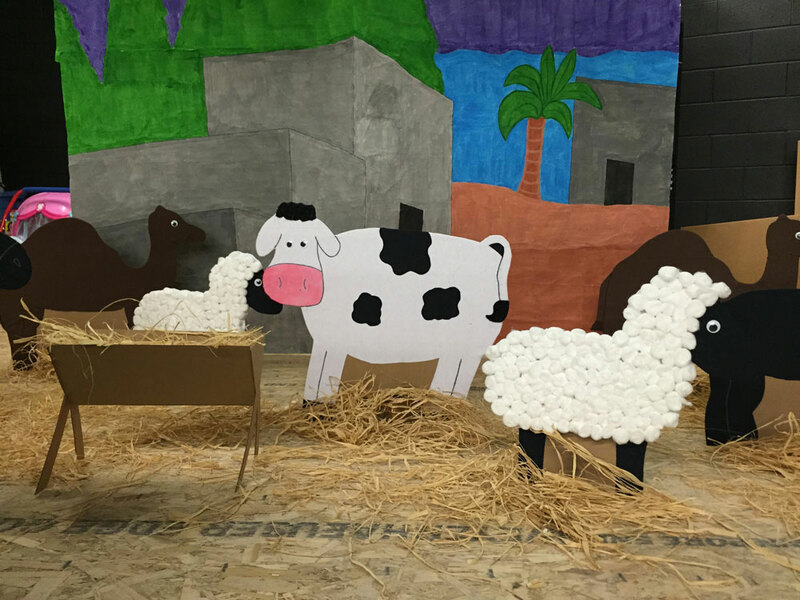 The animals and manger are made with cardboard, paint and a few items for texture and dimension. The total cost was less than $20. 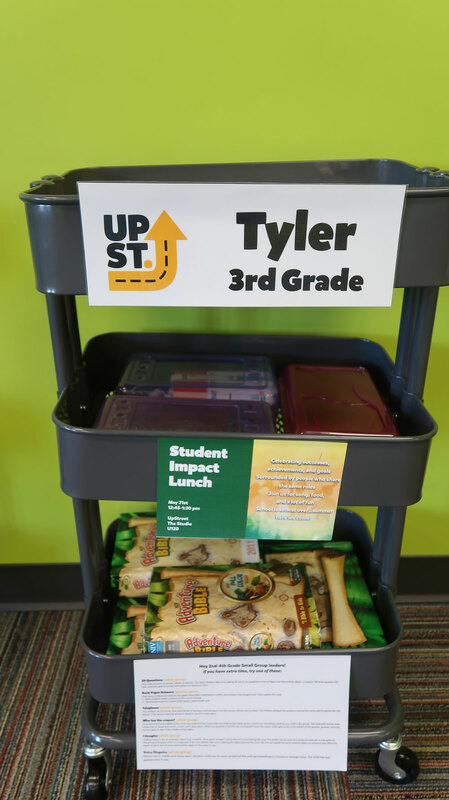 Our stories in our curriculum come in units of 4-5 weeks. Each unit has a theme, so a backdrop can be created for the theme, and used for 4-5 weeks before changing it to a new one. 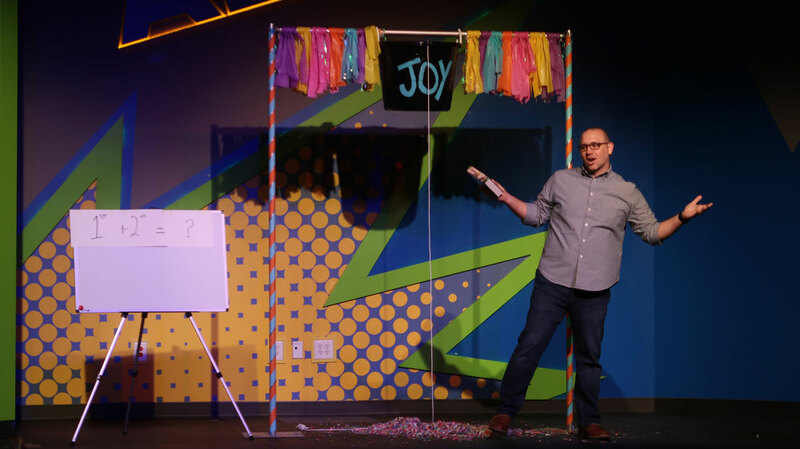 Preschoolers love when the stage is decorated for your story. It gives them a sense of anticipation. They wonder what might be happening next. This is a stage from Woodstock City Church in their preschool Large Group area. Because this is a little bit more elaborate, the main stage design stays the same (playhouse) and they just change out the props for the Bible story. You can see in this photo some rocks and some water on the stage that will be part of the story. All it takes is a little be of creativity, and you can come up with a stage design or backdrop that will work for your storytelling experience. 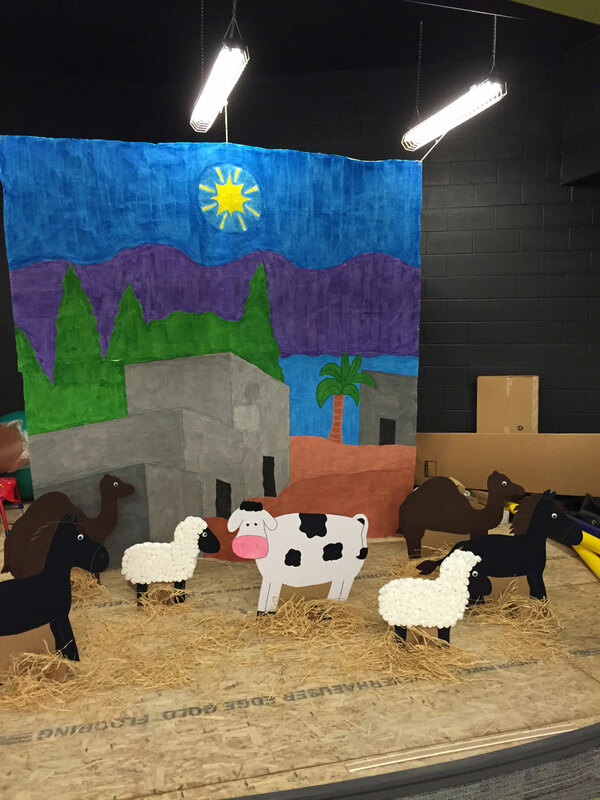 This set design was used in an elementary room at Woodstock City Church. It is colourful, but includes a key word that will be talked about in their lesson. This backdrop just makes it a little more interesting for kids to hear the Bible story. This attention to detail takes the excellence level up a notch. Click here to see more photos of the elementary area of Woodstock City Church. 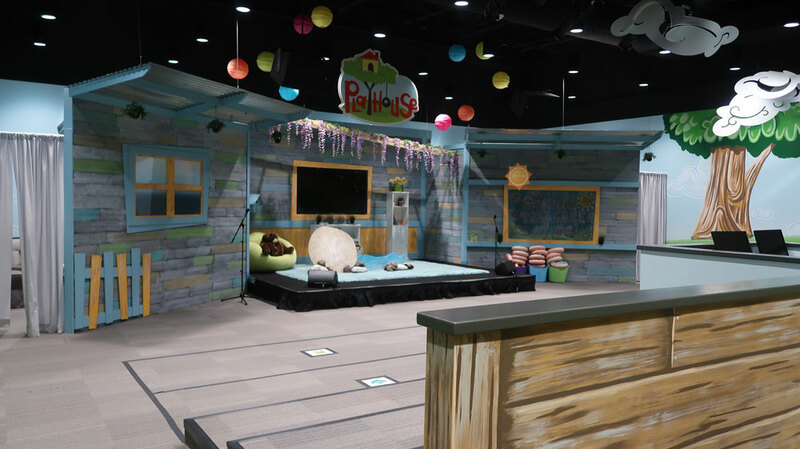 Click here to see more photos of the preschool area of Woodstock City Church.